What’s on our mind? You can read about it in our blog. Whether it’s ideas from the industry or emerging trends, you can read about it here. So keep checking in. We’re glad to have you reading along! 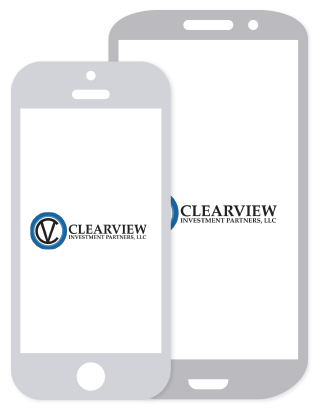 At ClearView, we strongly believe that optimal wealth and health go hand in hand. As important as it is to do regular "check-ups" on your financial portfolio, it is equally important to ensure that you are taking care of you! All of the money in the world doesn't hold much value if you don't live a healthy, long life spent with loved ones doing the things you enjoy. We are dedicated to sharing helpful and inspirational information with our readers to encourage them to live an optimal life. Presenting the LPL Research Midyear Outlook 2018: The Plot Thickens, packed with investment insights and market analysis to guide you through all the action we may see in the year ahead. While most U.S. workers are facing a retirement savings deficit, for women, the effect is compounded: Lower pay translates into reduced Social Security benefits, smaller pensions, and less retirement savings. Rob and the guys take time for a photo on June 13 at the 23rd Annual Golf Outing, hosted by St. Ann Charitable Society. Contributions from this event help support individuals facing difficult times. ClearView Investment Partners supports the Employment Horizons' 2017 Annual Golf Outing held on June 19, 2017. Rob and the girls take time out for a pose on April 27, Take Your Kids to Work Day. The death of a spouse or partner can be a very difficult experience for one to maneuver through. Help ease the burden by having a discussion with them now. Fallen Tree Damage - Who Pays? Do you know the one exception in which you are responsible for the damage caused by a tree on your property that hits your neighbor's home or other insured structure? What a difference a year makes. With the U.S. election behind us, LPL Research has provided an overview of what to watch and what it might mean for stock and bond market performance and positioning as we begin 2017. ClearView & Beautycounter Partner to Find Out "How Safe are the Products You Use on Your Body"?